~ Life should be like a vintage soda pop ~ bubblin' and sweet! Sunday cooking : Ginger biscuit tartlet filled with coconut,white chocolate and vanilla ganache and topped with fruits stewed in orange juice! Sunday’s are best if you want to spend a lazy, experimental time in the kitchen. Today was one such day where I wanted to try out some tarts in my new non-stick tart molds! So I whizzed a packet of digestive biscuits with a pinch of dry ginger powder and 3 knobs of butter. Pressed the mixture onto the tart molds and kept in the freezer to harden. I then melted (using a double boiler) some white chocolate with butter, a teaspoon or two of sugar and possibly 3/4th a cup of coconut milk. I also added some orange rind (a tsp) and a dash of vanilla essence. Cooled it to room temp and whipped it with a spoon until smooth and like a ganache! For the stewed fruits, I sliced and diced 1 each of a banana(you just have to have a banana! ), guava(amazing and in season here in India) and musk melon(always a delight to have in tarts and pastries!) and juiced 1 orange. I tossed the fruits in half a lemon’s juice and a few drops of rose water! Then a small saucepan was used to boil the orange juice with 3 tsp of sugar and 1/4th a cup of water. Reduced it a bit. Couldn’t get it thick and syrupy, was still light and runny. Added the fruits in let it simmer for a while until slightly soft. Eventually it thickened and got glossy with the addition of half a tsp of butter(yumm). To assemble, unmold the tart shell and freeze it for a further 10 minutes. This ensures, the biscuit is not super delicate and crumbly. Take it out and put it on your serving plate. Spoon in some luscious coconut white chocolate ganache in the centre upto 1/2 the depth. Top with the fruits generously and drizzle some fruity syrup on top! Finally spoon another dollop of ganache! 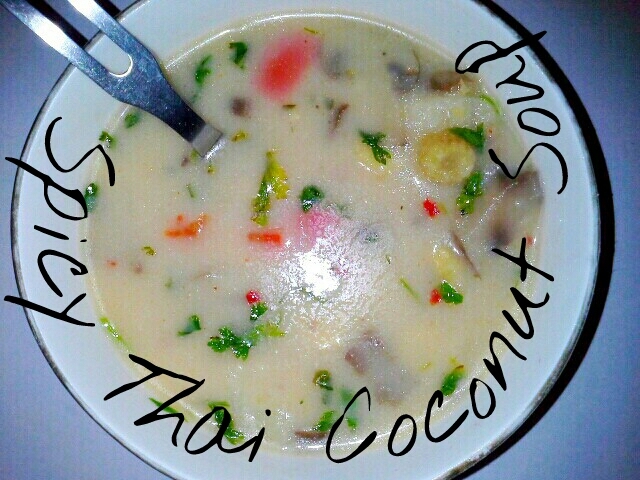 Recipe : Spicy Thai Coconut Soup with red bell peppers, baby corn and button mushrooms. It all starts with a creamy base made up of coconut milk. So we’ll be needing a teacup of coconut milk. For the flavoring,I used 1 onion, a bunch of corriander leaves, 1 red dried chilli, 3 cloves of garlic and a knob of ginger, juice of 1 kaffir lime and a little of its zest to perfume the paste as I had no lemongrass.Grind this mix into a paste. Start sautéing some chopped up red bell peppers,sliced baby corn and mushrooms. Once the vegetables begin to wilt slightly, add the paste and fry well. Once you notice that the raw smell isn’t there any more, add water enough to make a broth. Let it boil for 15 minutes. Add the coconut milk and stir all the ingredients. Turn the heat to super low simmer and then let it cook for 5 minutes.See to it that the coconut milk doesn’t boil furiously! If the soup is too thin, use some cornflour slurry to thicken it as I did. It also gives the soup a velvety look. Sprinkle a tsp of corriander leaves in every serving bowl and enjoy! Icecream Adventure : Coconut, Lime and Vanilla..flavours reminiscent of faraway Polynesian tropics. If I could ever realize one of my multiple dreams, it would have to be opening a cutesy little icecream shop in a cozy cottage on a buzy street! Really vintage and laid back..waffle cones stacked with delicious scoops of icecream in soo many flavours! What would really dominate my icecream boxes, is coconut..followed by fruits and nuts and then chocolate and other experimental flavors.. 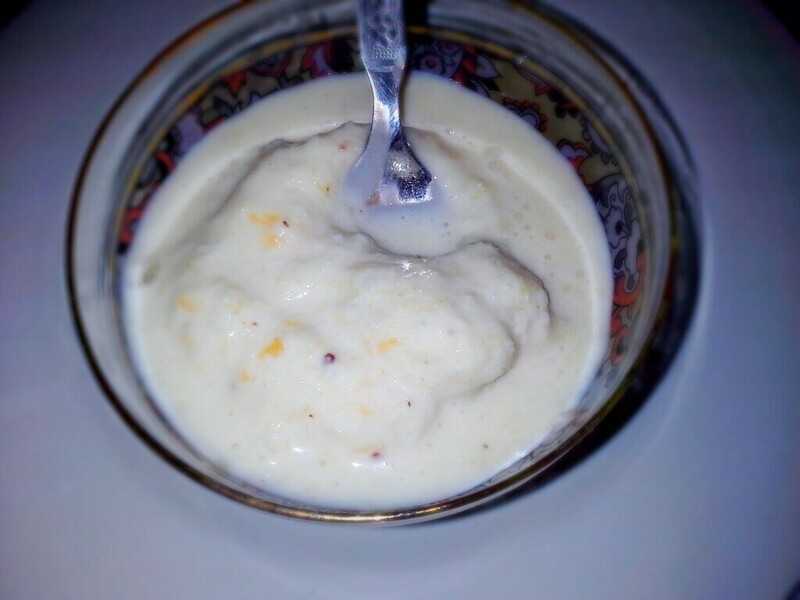 So keeping with my coconut trend, here’s a recipe for a delicious coconut, lime and vanilla icecream, the flavours of which, will delight you like a little private trip to the Polynesian islands where coconut, lime and vanilla would probably be a way of life! Take 200ml of cream and keep it ready in a whisking bowl or jar. In the meantime, chop up the flesh of 2 tender coconuts and blend them to a paste. Squeeze the juice of 1 big lime into a bowl.Zest the lime, about 1/2 a tsp would do. Now start whisking the cream with 1/2 a cup of sugar, slowly adding the lime juice, a tsp of vanilla essence and the coconut pulp.Keep whipping the cream until fluffy and soft peaks begin to form on thw whisking wire.Add a pinch of salt as it enhances sweetness. Taste the mixture for sugar and keep adding until you think it is sweet enough. Remember that after freezing, the flavours and sweetness reduce. So it is safer to keep it a bit on the sweeter side, add a bit more of lime juice and a dash of vanilla. Whip it one more time and store it in an old icecream tub or any airtight container and throw it in the freezer. After 3 hours, it should look like this..
Take it out once again and whip it one last time and set it for another 3 hours..So at the end of a total of 6 hours, you have the creamiest icecream with perfectly balanced sweetness and flavours! Do try this and also I have 2 recipes for fresh fig fruit icecream and a coconut mango icecream, in the archives! Enjoy! 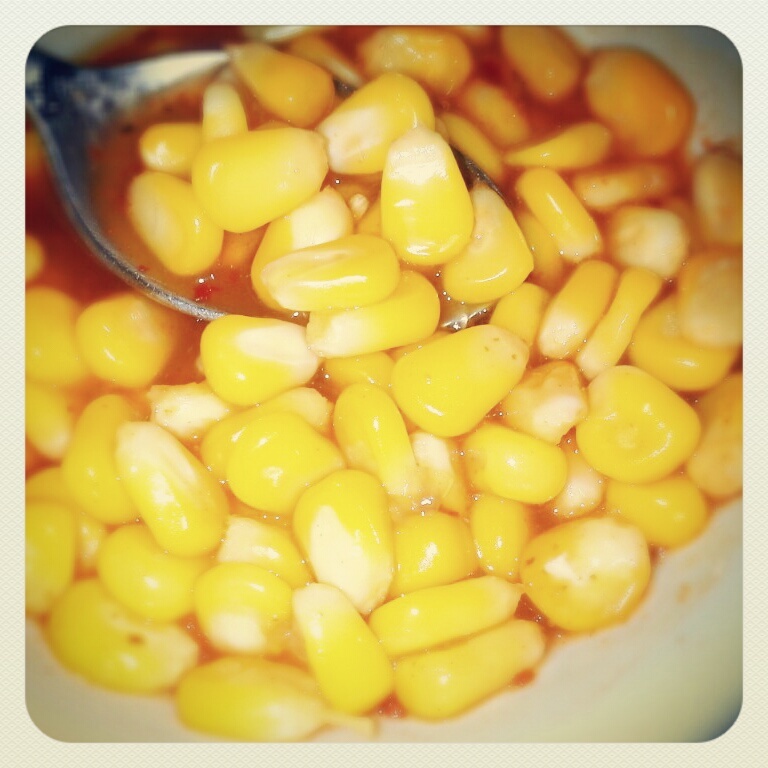 Recipe : Tangy, saucy stewed sweetcorn kernels. Steamed sweetcorn kernels mixed in a variety of sauces was the “in thing” a few years back. Every mall or eatery on the road seemed to have a delicious version or two of this wonderfully addictive snack. In fact, there was a period where I went hunting for the best eatery that offered the best steamed sweetcorn in the city! Heat the water in a pot and bring it to the boil. Throw in the corn kernels & let it cook in the water for 10 minutes. By this time, the kernels are tender yet not mushy. Add your seasoning and spices and let the kernels stew in this delicious liquid for about 5-7 minutes. Cover the pot and let it cook for 2 minutes. Turn off the heat. 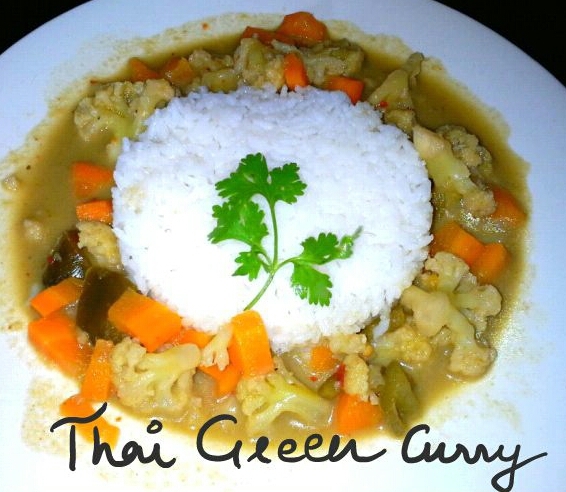 Amazing Thai green curry, made vegetarian. I made this delicious Thai green curry completely at home, yes, absolutely nothing was pre-packaged, even the coconut milk was freshly squeezed! And fresh, homemade coconut milk and curry paste make a world of a difference! I enjoy Thai food every once in a while. 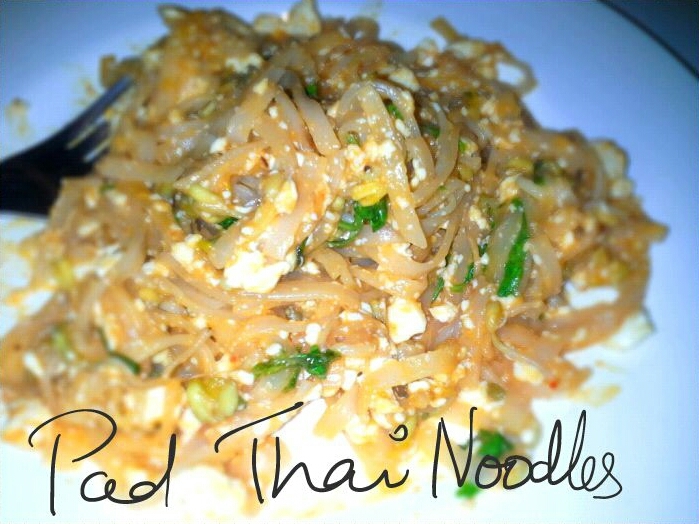 One of my faves is Pad Thai Noodles which is a delightful mix of tangy and crunchy textures with fresh tofu, bean sprouts and noodles. Here’s a super easy recipe for all to try, make for friends n family and enjoy! 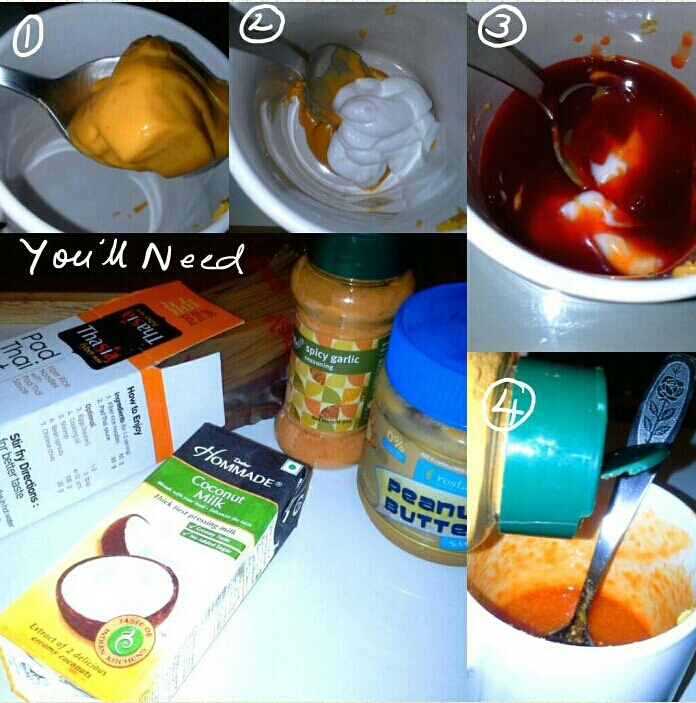 Mix pad thai sauce, coconut cream, peanut butter and seasoning. Set aside. 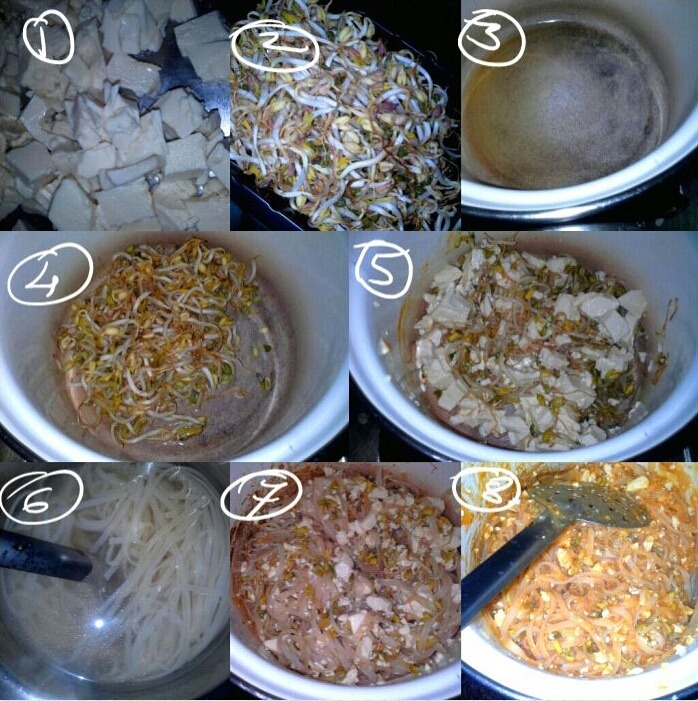 Cube the tofu and wash the bean sprouts. Soak the noodles in a vessel containing hot water for 5 to 10 minutes. In a pan, heat a tbsp and half of vegetable oil or sunflower oil and quickly sauté the tofu and sprouts. Once cooked, say 3 minutes, stir in some salt to taste. Drain the now tender yet firm noodles and toss well. Add the sauce mix and toss well to combine. Serve with crushed peanuts and chilli powder sprinkled on top. Boiled and mashed potatoes along with finely chopped onion, green chilli, carrot and cabbage go into these yummy cutlets. Flavoring it simply with chilli powder, mayonnaise and oregano with salt to taste and a handful of raisins to make it interesting. Coated with fine semolina and borushed with oil, grilling these patties in a super hot 230○C oven for 30 minutes (15 mins each side) makes amazingly crunchy and flavorful cutlets with a hint of sweetness from the raisins here and there! Savour it with my favorite pickled cucumbers and onions or even ketchup and mayo! The CondeChilliMayo Dipping Sauce- Your fried munchies will love you for this! But my love for fries becomes manifold when I have some sauce to dip into. I don’t prefer the dryness fries come along with. Most of the times, it’s simply ketchup, sometimes a bit of ketchup and a squirt of chilli sauce or even a drizzle of honey added to the ketchup mix if my taste buds are feeling feeling adventurous! But the dipping sauce I really like is mayonnaise mixed with a squirt each of ketchup and chilli sauce. There’s something, I don’t know, what do you call it? A marriage of flavors perhaps if I were to talk like a fine dining connoisseur or simply downright damn delicious if I were to talk like me! (I’m the prude you’d find, swirling fries in ketchup sloppily and licking it off my fingers) I like how the tart creaminess of the mayo works well with the tangy ketchup of course with a fiery ‘kick’ from the chilli sauce only adding to its deliciousness. Lol enough of my bantering, here’s what I did..Just like how honey,mustard and mayo make for a great dipping sauce (I love it even with my pakoras, bhajias and wadas imagine! 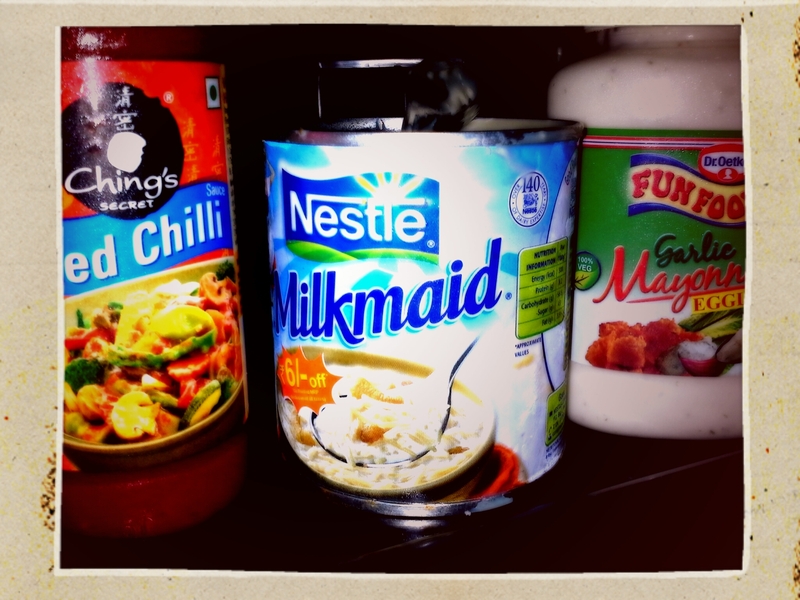 ), I keep the sweet component alive in my version with, guess what, condensed milk! Yes, you read that right, condensed milk! I added about a good tablespoon or 2 of it to a cup of mayonnaise with a tablespoon of chilli sauce. Please note since I’m vegetarian, the mayonnaise I use is eggless (yeah an oxymoron, I know right?) with a garlicky base..it’s yum, period. I tried this dipping sauce with fries, chips, baked cutlets, fried cutlets, on toast with some fresh veggies, pakoras/fritters, bhajias/batter-fried veggies/tempura and it went well with all of these! 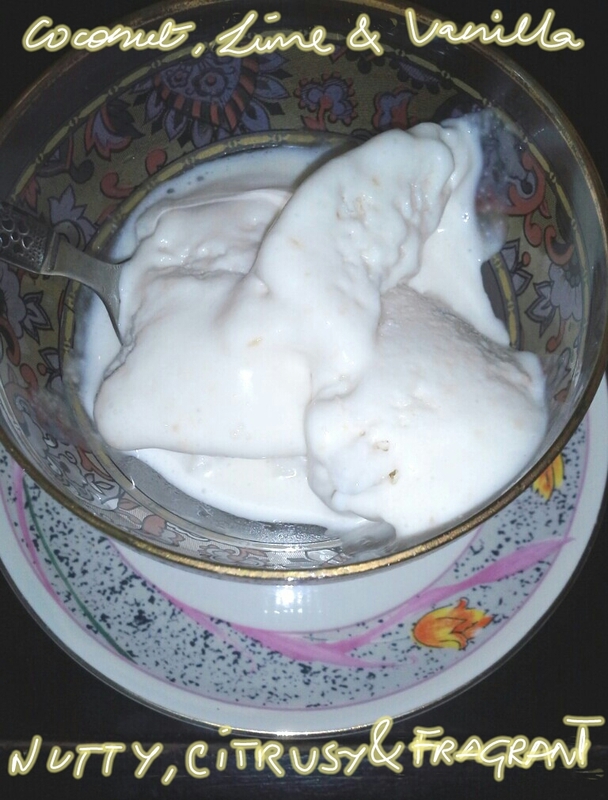 Homemade no-churn fresh fig icecream and tropical mango coconut icecream! Icecreams are a surefire crowd pleaser,no matter the age, occasion or moment under concern. It lifts up spirits, cools tempered hearts, makes the happy ones happier and well all’s good in icecream land! That was the scene even in the early 20th century, when Italian icecream vendors used to display their wares of lovely gelatos shouting out “ecco un poco!” Or here’s a little bite of,well lovely,creamy delicious icecreams! But if you were to spend money every time over a slice of icy heaven, you wouldn’t like that much,would you? Of course one has concerns over quality of ingredients used while buying cheap icecreams and cannot afford the premium ones. And to be able to enjoy the premium of all premium icecreams, the homemade ones? Surely a luxury, right? Wrong. Now even you can have these great homemade icecreams without spending a bomb on the gadgets like KitchenAid or ice cream churners and still have great, custom-made icecreams year after year.This allows to have more quality ingredients when you have saved money over the tools. Over to the 2 ice creams I made yesterday. Beautiful fresh figs are in season here and so are lovely mangoes! 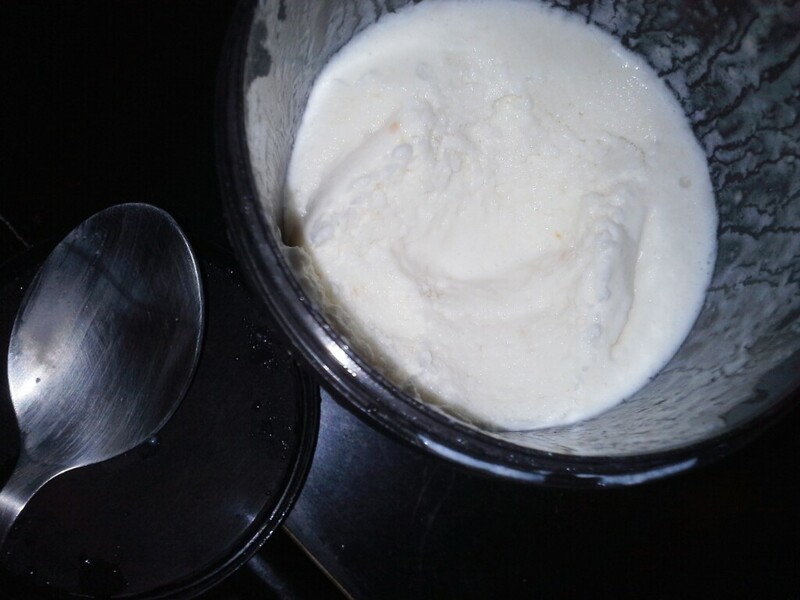 This was my first attempt at making fresh homemade icecream. 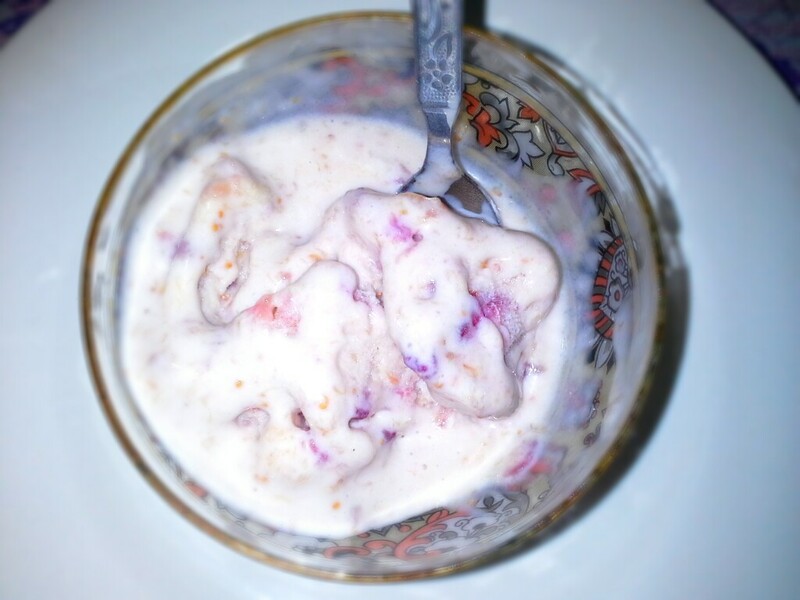 The ones I made are eggless, no churn ice creams and are super simple to make. Whipping cream or nut substitutes for vegans. Sweetener in the form of either sugar or condensed milk. I used condensed milk. Fresh fruit pulp and chopped fruits. Any flavoring essences or extracts if required. The whipping action mimics what your churner does for you minus the additional ice and salt bath. It’s not required. When researching recipes for no churn ice creams, I found 1 super informative article written by an ex MIT alum. and chef about how the industry uses a word called “overrun”. Overrun is the percentage of volume of icecream base after whipping and adding in air as opposed to the volume of icecream base before the whipping or churning. He further explains that if his icecream base had increased by 50% post churning, then the overrun would be 50%. He also tells us how premium icecream brands have overruns of 25% and cheaper ones 94%. That’s the reason why icecreams from commercial brands melt faster, too much air. To be able to adopt this idea in our kitchens, whipping the cream to soft peaks is what helps us achieve a creamy texture that wouldn’t melt fast. The texture will be a little more heavy as opposed to fully churned icecreams and hence a rich, premium experience. I whipped 100ml of cream and added close to a cup of condensed milk and whipped the mix together before folding the fig pulp. I later packed the icecream in an airtight container and froze it for 6 hours. The cream and airtight packaging help the ice cream develop a really intense creamy texture without crystallizing! As an ending note to this post I would like to add that freezing reduces the sweetness of the base hence make sure to keep the sweetness a tiny little bit on the extra side so as to have perfect sweetness when ready! Saturday lunch calls for a usually laid back attitude with minimal fuss over supper. Nothing fits in better than fried rice which is not only simple to rustle up but also relatively quick in comparison to those fully assembled soup-salad-sandwich kinds! Here’s what I made this noon and it was really yummy! A little tip is when making Chinese inspired rice dishes, remember to keep leftovers as they taste better than when served piping hot! Like they say,Chinese food tastes best the next day! What I did here was to simply stir fry some 3 cloves of crushed garlic along with a large chopped onion until translucent bordering on brown. I followed it with florets of 1/2 a big cauliflower, 2 diced English carrots(since I love the orange color, so bright), 1 diced capsicum or green bell pepper and some 5 leaves of cabbage, shredded. Once these veggies were stir-fried to a tender crisp stage, I added 1 cup of steamed kernels of corn. Later I mixed in Hoisin sauce, Soy sauce and Chili sauce to taste and seasoned liberally with pepper. I now added salt to taste, a little on the liberal side as I’d be mixing in rice as well. The ideal rice for Chinese food is to boil the rice beforehand(do not make it mushy. The grains should be separate when fluffed with a fork.Al-dente to be precise) and let it cool under a fan preferably until the grains are separate. Drying it for a couple of hours would be great! 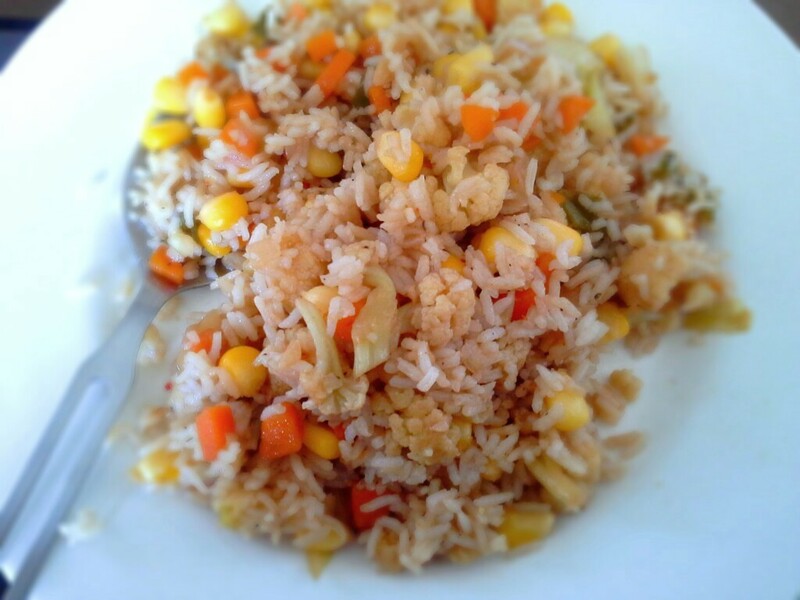 Mix the rice along with the sautéd vegetables, check for the seasoning and flavor. Give one good toss and we’re done! Enjoy this easy-peasy lunch with a good accompaniment of chillies in vinegar,yum! New skincare and haircare favorites! A brand,spankin’ new haul- Forever 21, MAC and Lotus Herbals + beauty blender dupe!!! A simple, colorful toasted sandwich which is filling and nutritious. A brand,spankin' new haul- Forever 21, MAC and Lotus Herbals + beauty blender dupe!! !